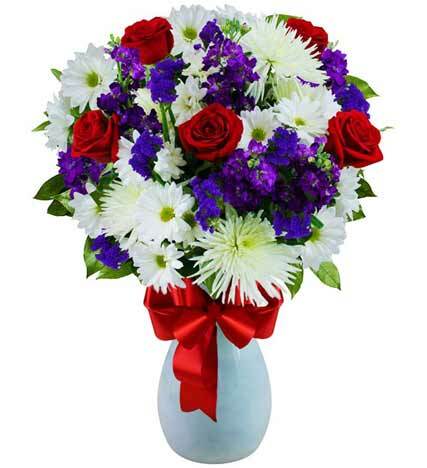 This gorgeous arrangement blends together velvet red roses and rich purple flowers with lovely white daisies and mums. Presented in a vase with a red bow, it's sure to make an audacious statement for your recipient! 06/06/2017 3:33PM Gorgeous..— Jessica M.